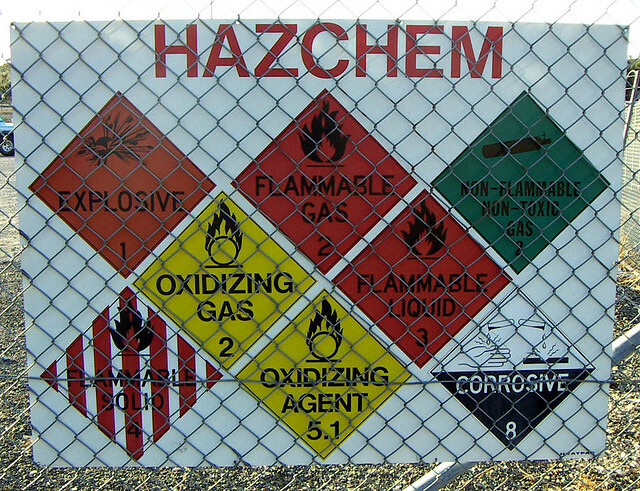 In 2007, Congress added a provision to the Department of Homeland Security (DHS) budget, directing DHS to create a program to identify chemicals that might be tempting targets for terrorists, and to require facility that handle sufficiently large quantities of these chemicals of interest to establish security programs subject to DHS oversight (“Section 550”). DHS responded to Section 550 by issuing Chemical Facility Anti-terrorism Standards (CFATS) rules, requiring compliance to begin in 2008. Six years later, the CFATS program had met some of its goals, but also received consistent criticism about some of DHS’ substantive requirements and procedural approaches to program administration. In December 2014, Congress acted again, affirming most provisions in DHS’ regulations and program, and imposing revisions intended to address the criticisms (“Protecting and Securing Chemical Facilities from Terrorist Attacks Act of 2014” (6 U.S.C. §§ 621 – 629)). The remainder of this blog presents a very brief summary of CFATS provisions, and identifies revisions imposed by the 2014 legislation. CFATS applies to what DHS defines as: chemical facilities that handle onsite more than the more than a screening threshold quantity (STQ) of any chemical of interest. DHS regulations define each of these bolded terms. Onsite release of a toxic, flammable or explosive chemical, for chemicals onsite in storage vessels or transportation containers. Theft or diversion of a chemical present in its Department of Transportation (DOT) mandated packaging. Sabotage or contamination (thresholds set at the amounts that DOT requires to be placarded during shipment). Used as a structural component. Used as products for routine janitorial maintenance. Contained in food, drugs, cosmetics, or other personal items used by employees. In process water or non-contact cooling water drawn from environment or municipal sources. In air either as compressed air or as part of combustion. In naturally occurring hydrocarbon mixtures prior to their entry into a natural gas processing plant or a petroleum refining process unit. Propane stored in tanks of 10,000 pounds or less. Facility subject to the Maritime Transportation Security Act of 2002. Public water system subject to the Safe Drinking Water Act. Treatment works subject to the Clean Water. Facility owned or operated by the Department of Defense or the Department of Energy. Facility subject to regulation by the Nuclear Regulatory Commission. Determine whether the facility is non-exempt, and handles at least one chemical of interest in quantity and concentration that meets or exceeds an applicable STQ. If so, the facility performs a “Top-Screen” hazard review using CSAT, and submits the result to DHS for review. DHS evaluates the Top-Screen information, and makes a preliminary assignment of the facility to one of four risk-based tiers (Tier 1 represents the highest hazard facilities, and Tier 4 the lowest) – DHS may respond to inadequate or non-submission by making a preliminary assignment and/or commencing administrative action. Facility completes and submits a Security Vulnerability Assessment (SVA) based on its risk Tier, except that Tier 4 facilities have the option to prepare and submit an Alternative Security Program (ASP). DHS makes a final determination of hazard Tier, and facility prepares and submits a Site Security Plan (or ASP), built on detailed risk-based performance standards. DHS reviews the Plan or ASP, and inspects the facility to confirm its status. Facility corrects deficiencies and implements security plan/program activities, subject to ongoing review, update, and record keeping requirements. DHS’ CFATS program activities have been reviewed by the agency itself, the Government Accountability Office (GAO), and Congress. Industry and community groups have offered critiques as well. The 2014 legislative amendments to CFATS incorporate these critiques. Requires that SVAs include input from at least one facility employee with relevant knowledge, experience, training or education relating to security. Allows facility Site Security Plans to meet requirements for personnel security background screenings by using other federal programs that rely on the FBI Terrorist Screening Database (such as the Transportation Worker Identification Credential (TWIC) program). Creates a provision for a Tier 3 or Tier 4 facility to meet specified requirements and then seek expedited approval of its Site Security Plan; DHS is to issue guidance for expedited approvals by June 18, 2015. Clarifies and expands inspection and administrative enforcement authority. Directs DHS to develop an implementation plan for outreach to chemical facilities with regulated amounts of chemicals of interest that have not submitted a Top-Screen. Requires DHS to establish a reporting process and prohibit retaliation against whistleblowers. Clarifies provisions governing first responder access to sensitive security information. Ensures DHS is regularly reviewing and updating its risk assessment model used to evaluate facilities and assign hazard Tiers. Requires DHS to provide Congress key metrics for better oversight of program performance, including in periodic CFATS program performance reports. The 2014 legislation also authorizes CFATS to continue for the next 4 years. DHS has enforced its CFATS program for over 6 years, but the December 2014 legislation revises several aspects of DHS authority, and some specific elements of its administration and enforcement of that authority. Chemical facilities should be prepared to re-consider their status under CFATS, and how compliance responsibilities are met. Does the organization have any facility that handles a CFATS chemical of interest in quantity and concentration that meet STQ thresholds? Prepared and submitted a Top-Screen? Received a preliminary risk Tier assignment, and provided information required by DHS or necessary to contest any aspect of that assignment? Prepared and submitted a Security Vulnerability Assessment (or Alternative Security Program, if appropriate)? Received a final risk Tier assignment, provided any additional information required by DHS or necessary to contest any aspect of that assignment? Prepared and submitted a Site Security Plan (or Alternative Security Program, if appropriate)? Received DHS’ document review and inspection, and satisfied any agency requirements? Implemented the Site Security Plan, and ongoing record keeping and operational procedures? Has each of the organization’s “chemical facilities” reviewed the 2014 revisions to the CFATS legislation, to prepare for changes in its compliance responsibilities?